The +New York Knicks has a new spokes person! 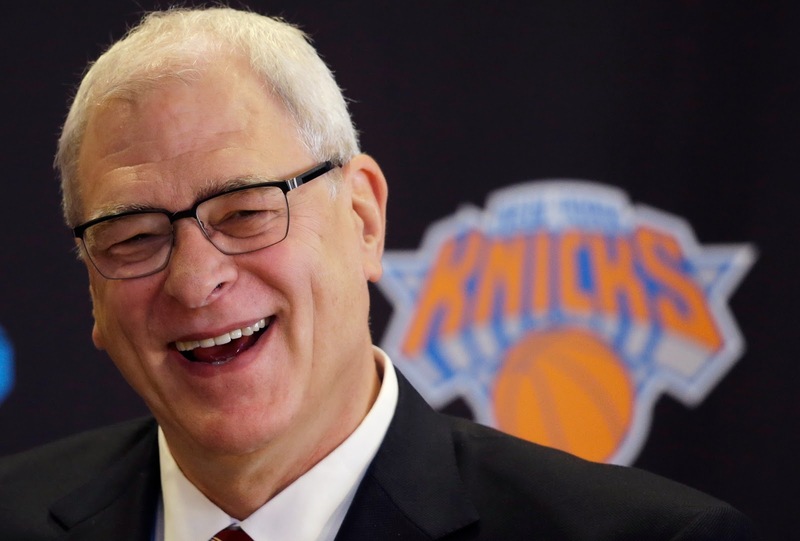 Phil Jackson doesn’t want anyone to blame Derek Fisher, because he’s been holding things together throughout adversity , but the organization now has their sites on free agency and attracting top-flight talent to improve. “This is a mea culpa. I take responsibility for it. Obviously I didn’t do the right thing in picking the group of guys that were here. A lot of it was etched in stone, we had guys with guaranteed contracts. But in anticipating that we were going to better, that we were giving hope to our fans that maybe there’s a possible playoff opportunity here, you know, that goes on me. We now have to take responsibility and move forward and make things happen, that also goes on me. Now I have to do the job that I was brought here to do. The fans, I want them to leave Derek alone in this regard. He’s doing the best job possible. It’s not his fault.